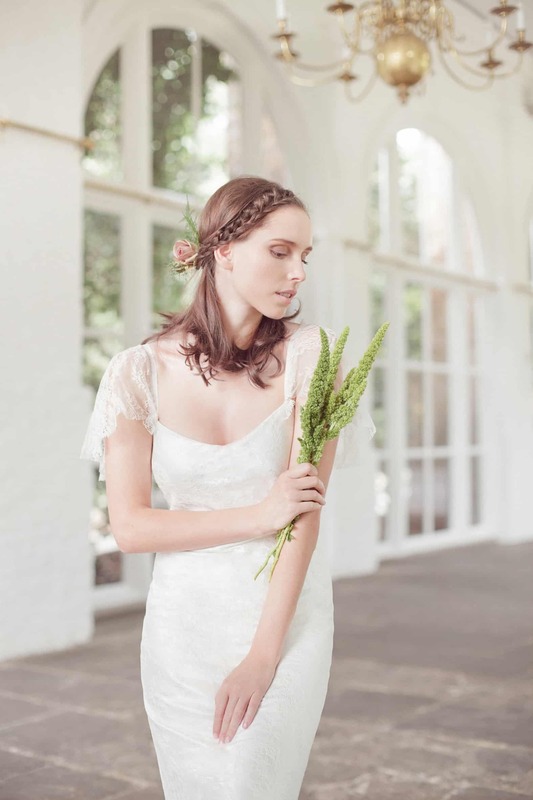 This soft flowing Vintage Lace gown by Sydney bridal designer Amanda Garrett is from her Snowflake Collection and is made from a delicate French lace overlay and features a stunning low-back with fishtail silhouette complete with tulle underlay and stunning train. Perfect for a relaxed yet romantic bridal setting! This sample designer wedding dress is available to try on at The Barefaced Bride studio.